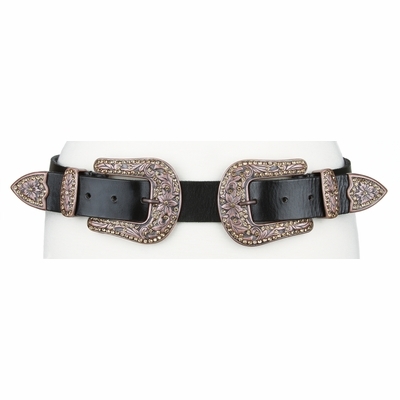 Women's Double Rhinestones Buckle Set Copper Finish Hand Crafted Full Grain Leather Belt. Full Grain Leather Strap, 1 1/2" = 38mm wide Leather Belt. Removable Strap With Rhinestone Tips. Also Has 8 Holes, 4 on each side, for great versatility. The Belt is Handmade and Handcut in the USA.